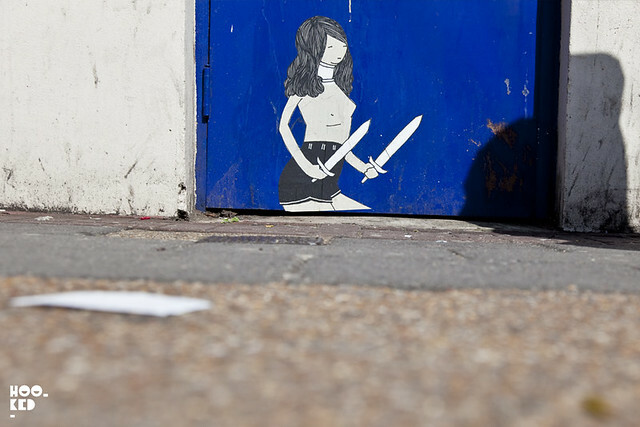 Look what we found over the weekend, a number of new Stabby Women have appeared on the East London streets. The characters are the work of Sheffield based street artist Kid Acne and we at Hookedblog love seeing the return of these urban Warriors to our streets. We last saw the artist in London earlier this year when he completed work on the large wall at Village Underground with a huge typographic piece as part of Streetart London's Wall Project. For more on Kid Acne hit up his website here. 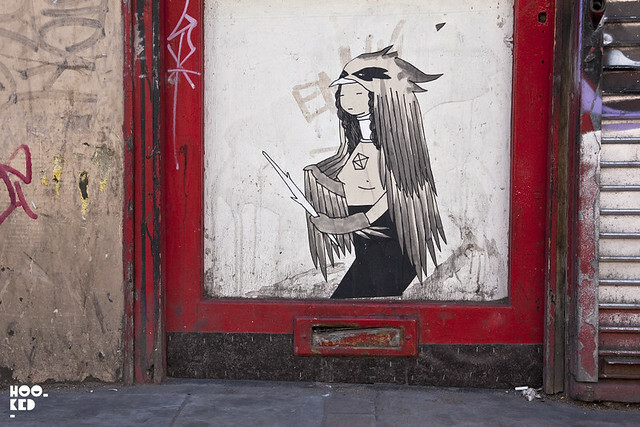 'Triple Goddess' London Mural by Kid Acne for Jealous Gallery's Rooftop Mural Project.